8am-outside air temperature – 77 degrees, warming to 84 degrees by 10am. 84-degree water temperature with a calm east breeze, a mild south current and visibility of 40-plus feet on the reef. Crew-Rosalie Opalka, Charley Schram, Ken Udell and myself. We continue to mix it up with adding lionfish to the harvesting along with some nice spiny lobster. They’re easy to get this time of year as they both are found in the same location of the reef. Today we dove an area off the Deerfield Beach International Fishing pier in 35-feet of water. These are patchy areas of reef with lots of little ledges and holes for lobster and lionfish to gather. Rosalie and Ken buddied together, and they were able to grab their limit of lobster and land a few nice lionfish. 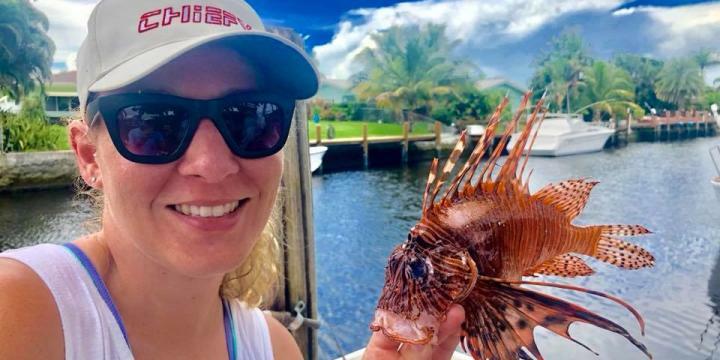 There’s no restriction on taking lionfish as the State of Florida encourages divers to harvest them and there’s a great benefit as they are good to eat. Charlie and I jumped in and made quick work of getting our limit of lobster. We’ve been finding lobster in shallow and clustered together in the same hole. It’s great to have a good buddy to work with as the idea is to work together to push the “bugs” to each other. Be patient as you work as a team, sorting through and measuring the small ones to get the legal sized lobster of greater than three inches. After everyone had their limit of lobsters, we moved to the third reef, which is only several hundred yards east of our location. These reefs are continuous with walls that hold a lot of fish. 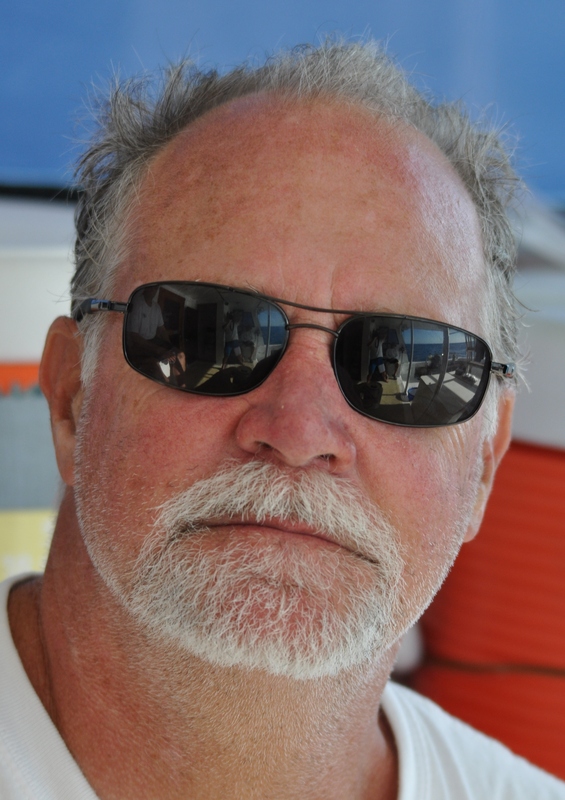 We did land a hogfish, and a few more lionfish, however, we didn’t need anymore lobster. Not a bad day of mixing it up in the greater Fort Lauderdale area.